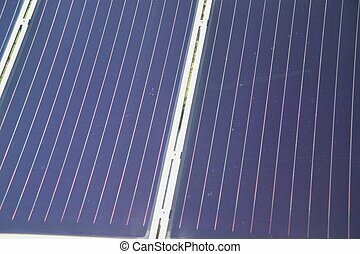 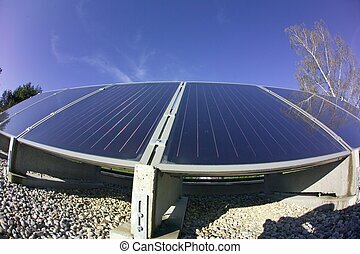 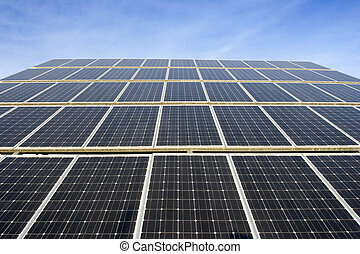 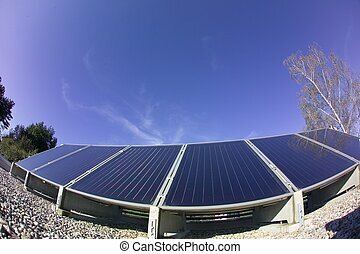 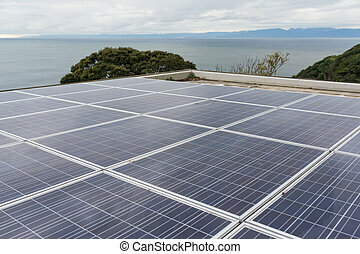 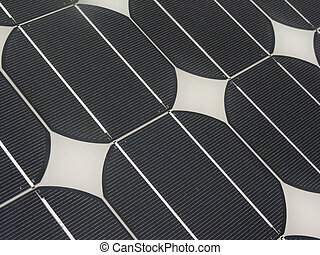 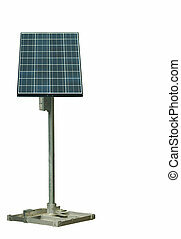 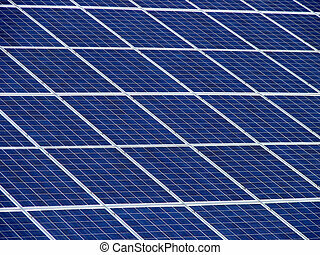 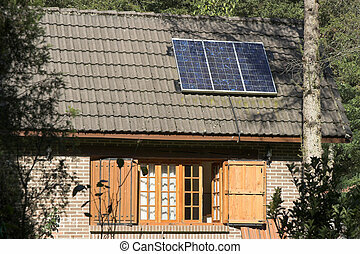 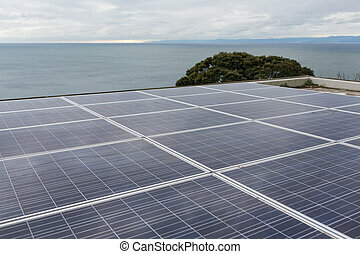 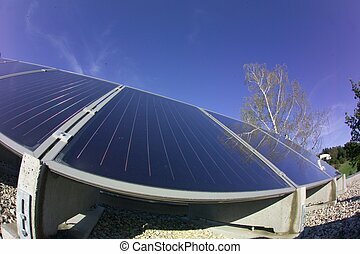 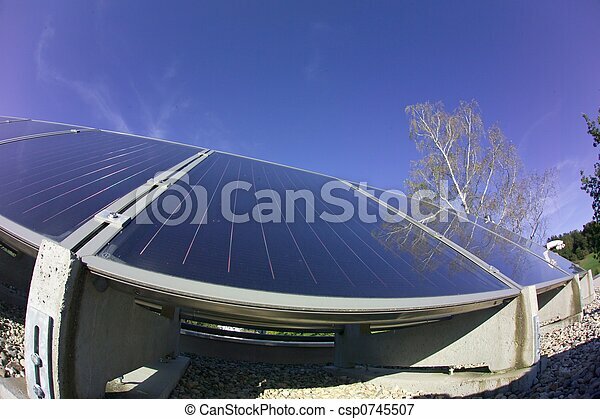 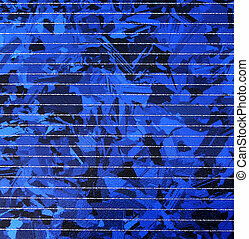 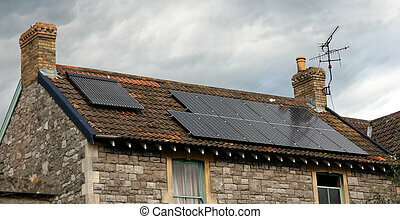 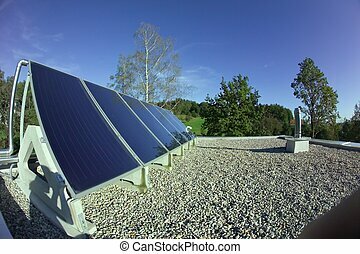 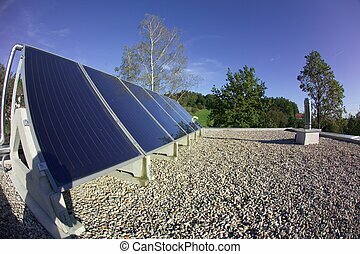 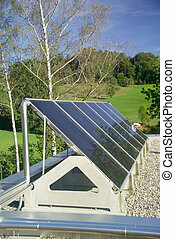 The details of a black a solar panel. 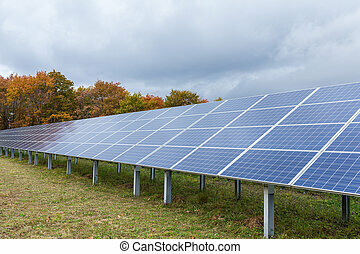 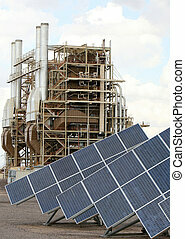 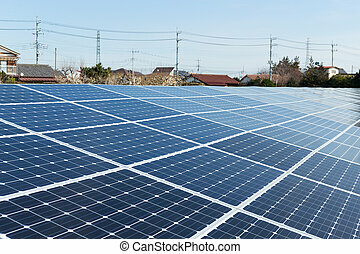 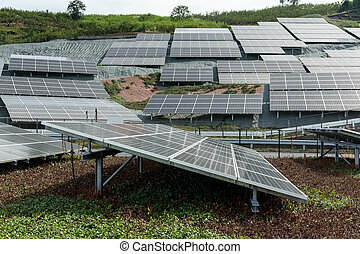 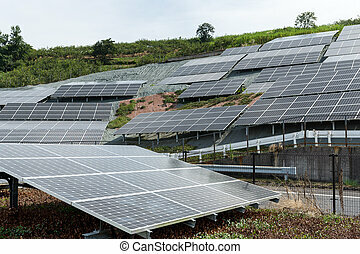 Solar panels in front of a traditional power plant in Arizona. 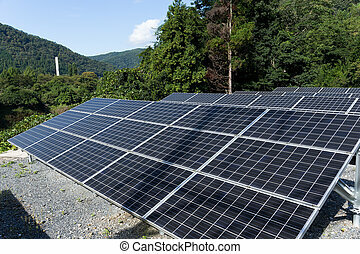 Good for issue about power, air pollution, global warming, etc.